There are a lot of firsts with your first. 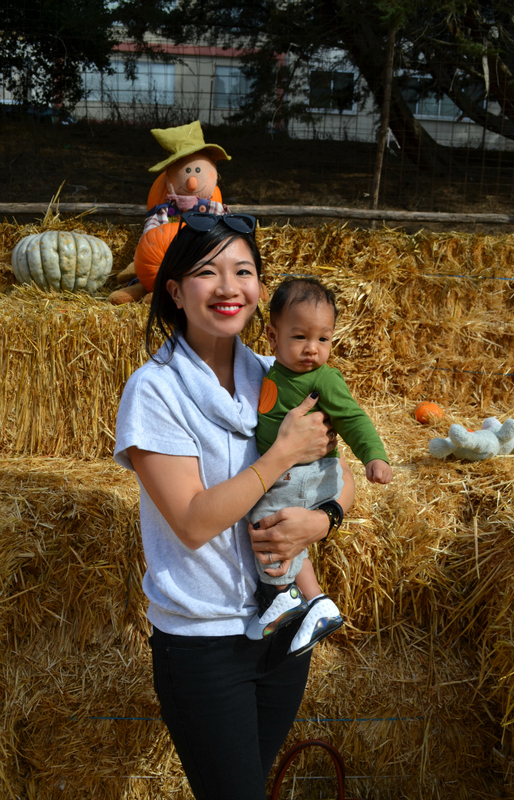 This year, we visited our first pumpkin patch with Baby B. There were lots of families, young and old. Lots of tots with costumes. Lots of parents with cameras. 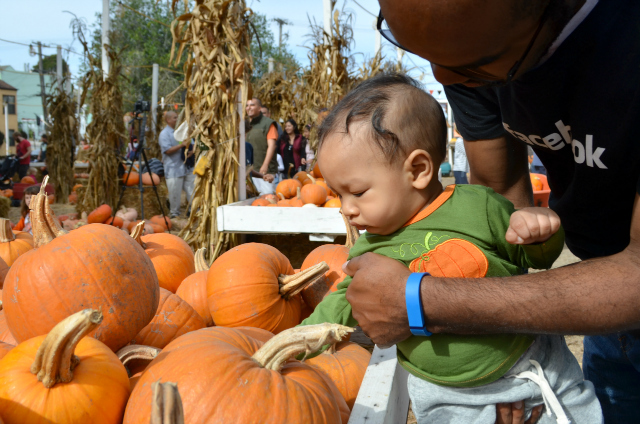 Lots of kiddos who may or may not remember this trip to the pumpkin patch. 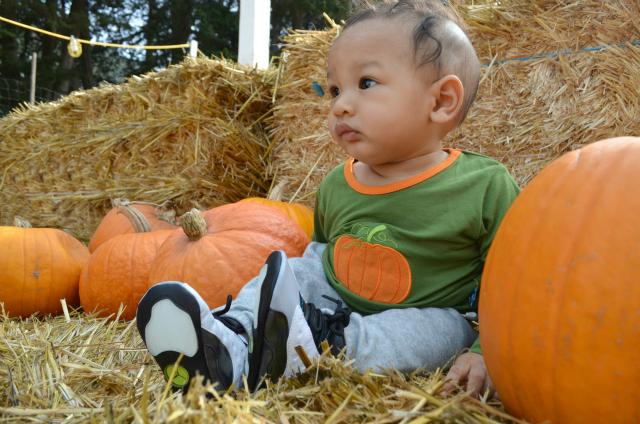 Clearly, there's something to be said about going as a mere 5-month old. Perhaps it is more for us parents than it is for the tots, but as a friend of mine said about raising her daughter, she doesn't want to look back and have any regrets that she missed anything - no matter how trivial. Sounds so simple, right? So as long as I can help it, I'm going to make every effort to include myself in memories that we can look back on as a family. This is one thrilled mama and one distracted baby. 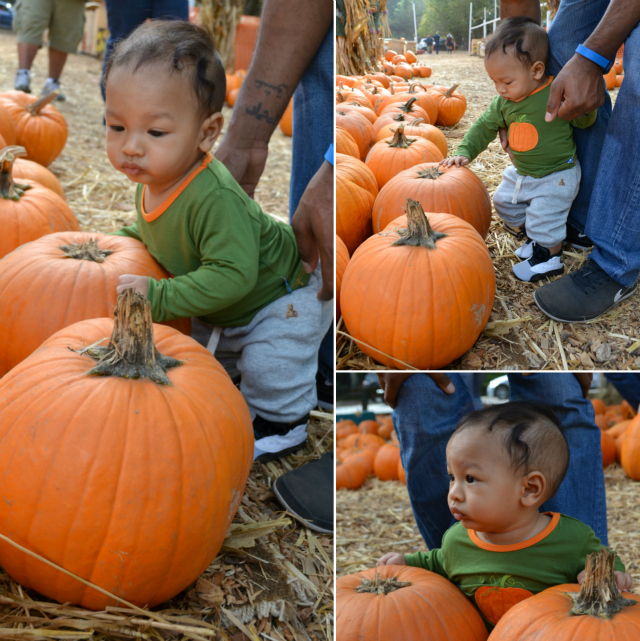 Baby B's first pumpkin touch. Literally. 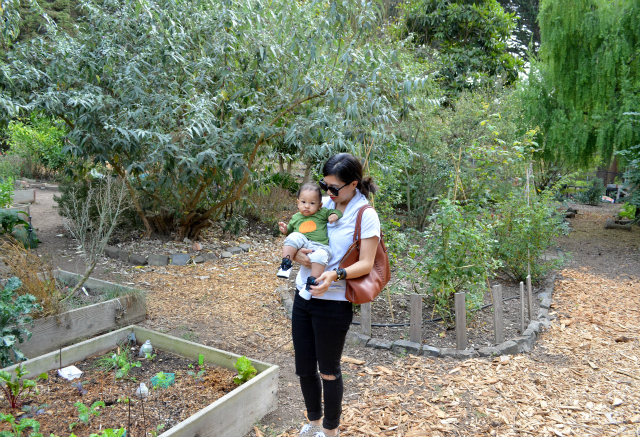 We went to Clancy's Pumpkin Patch in SF, which is right next to a community garden. Since we were here, we took a quick stroll. 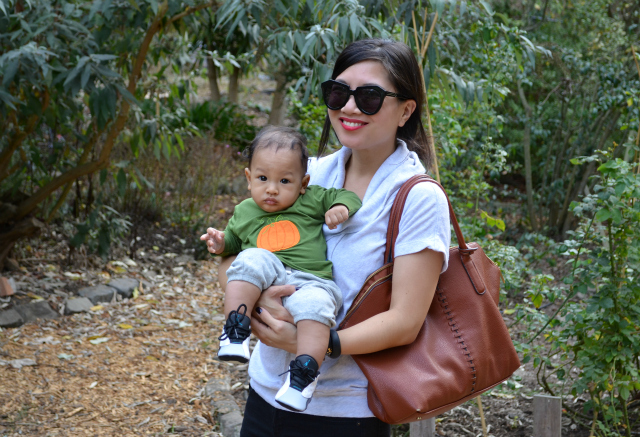 Baby B loved to touch the leaves. 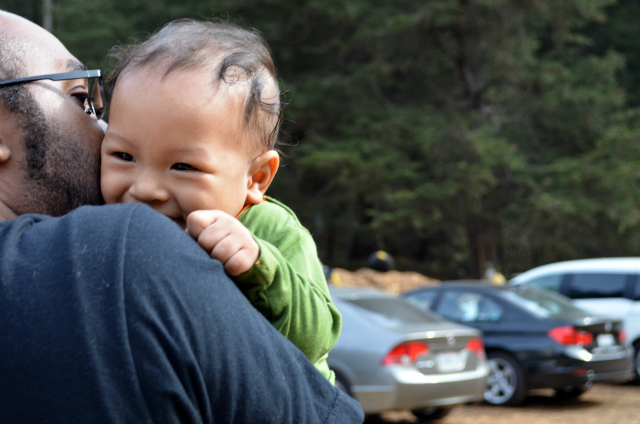 Baby B may not have shown off a big ol' smile in these photos, but he really had a grand time with us. =) Seriously. Awww, he's getting so big - already! 5 months just flies by .. This is adorable! 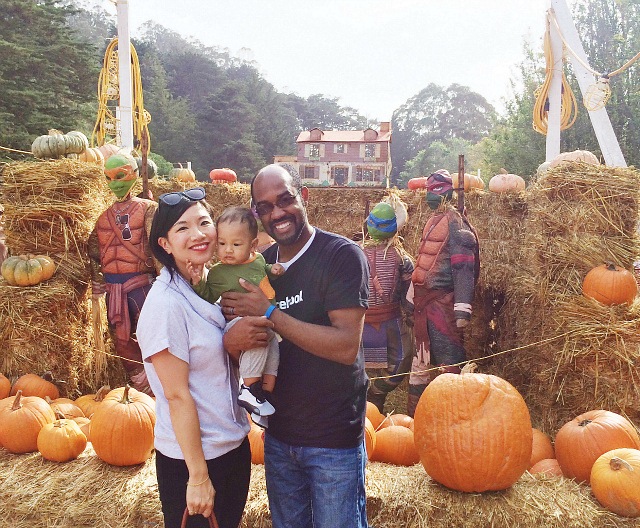 I remember my first pumpkin patch experience as a treasured memory very close to my heart, so Im sure this will be for baby B as well! I wanted to thank you for your lovely comments on our blog post, it means a lot to us. OMG these photos are adorable!!! Oh my god, so cute!! He's so adorable I can't handle it! Aw she is too cute! The more photos the better, I say! I CAN'T TAKE THE CUTENESS LEVEL! Adorable! Looks like such a fun day! adorable pictures :) here's to making more memories! He is all grown up!!! he is such a cutie, I'm sure he had a great time. Sooo cute! Looks like you had a great time!